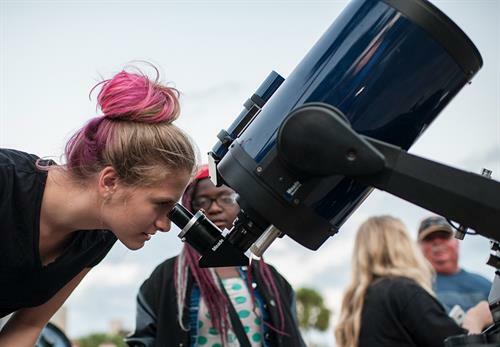 Visitors may observe the night sky and explore the world beyond at the Florida Museum of Natural History free, fun-filled “Starry Night” program Nov. 16 from 6 to 10 p.m.! Activities include the opportunity to use high-performance telescopes and see a portable planetarium show. For more information, visit www.floridamuseum.ufl.edu/event/starry-night or call 352-273-2062.